Are you looking for something more custom than a stock trade show item? 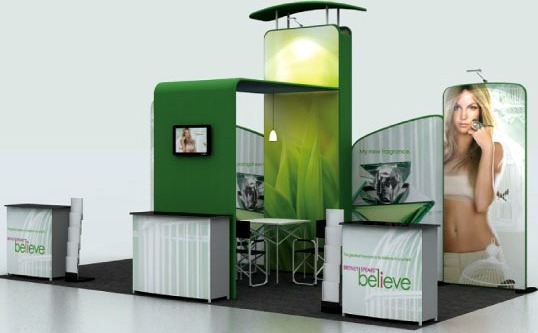 Our custom trade show booth design team can create a booth to meet your specific needs. Using our 3D design software, you can see exactly what your booth will look like in real life. Then, after art is approved, our high definition dye-sublimation printing system will make your trade show display an effective marketing tool. Finally, we can help you with shipping and crating to make your trade show experience as easy as possible. Outdoor booths may include tents, flags, inflatables, etc.